Add a splash of colour to your jewellery collection with our range of Festival bracelets! Featuring a smooth, curved bar in sterling silver and rose gold plated measuring 60mm, married with a row of black onyx semi-precious stones. 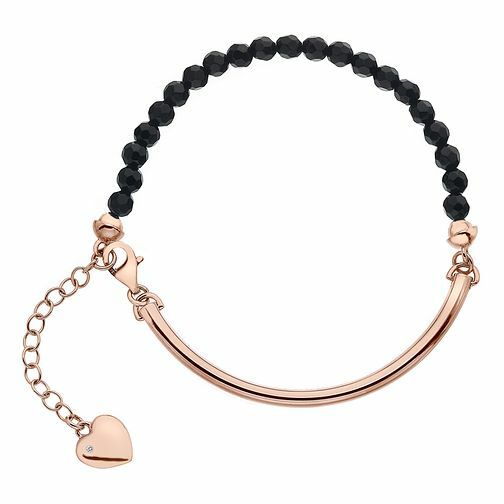 Hot Diamonds Rose Gold Plated Black Onyx 4mm Bracelet is rated 5.0 out of 5 by 1. Rated 5 out of 5 by Anonymous from Great bracelet Love this bracelet, simple, yet elegant whether worn with a dress or jeans.